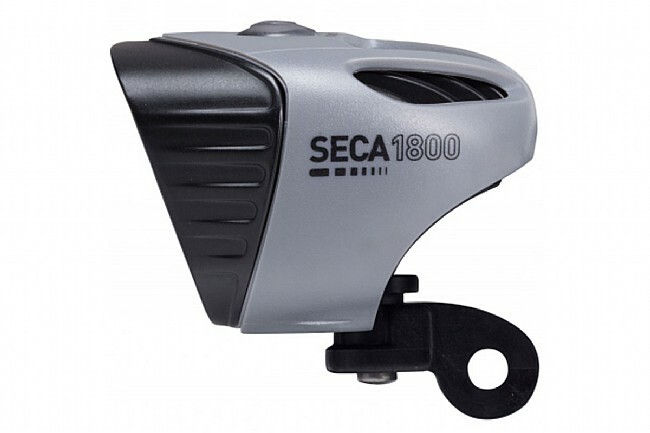 The Light & Motion Seca 1800 Light provides a ratio of lumens to grams that's hard to beat. 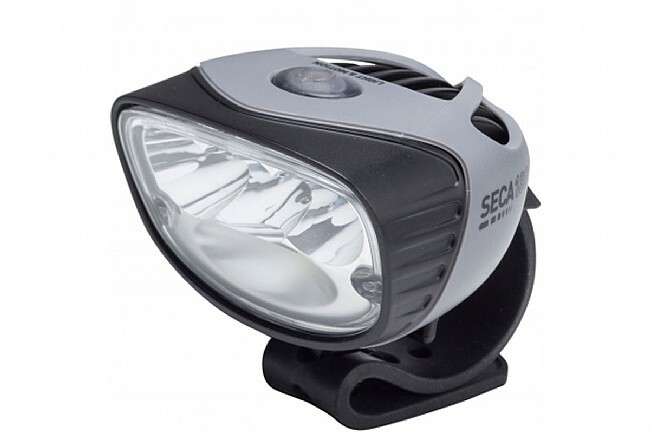 Shining with 1800 tested and certified lumens at a mere 355 grams for the entire system, this is a nighttime single-track purebred. 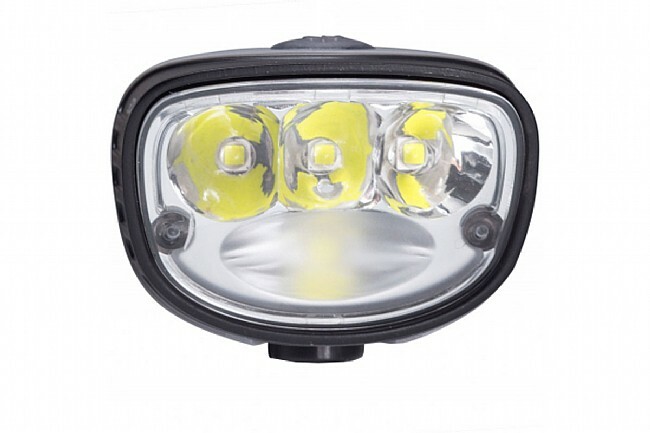 4 CREE LEDs shine out using enhanced optics that diffuse the bottom LED to increase peripheral vision, while the top three are focused to shine far down the trail. 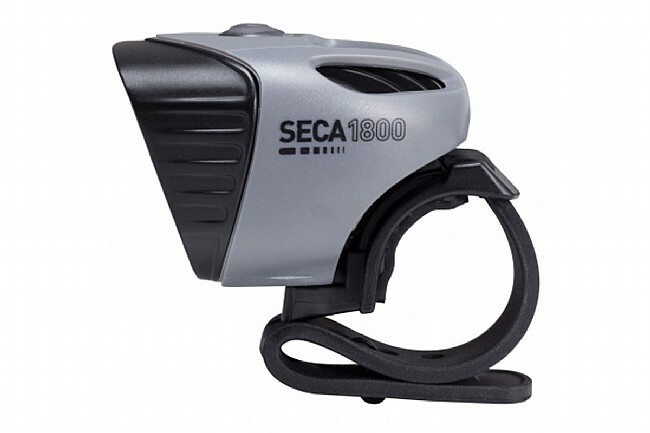 When it comes to races that stretch past sundown, the Seca 1800 offers a Race Mode that allows for the light to toggle just between high and low settings. When the ride is done, the included 3-cell li-ion battery can be recharged to full capacity in 2.5 hours. 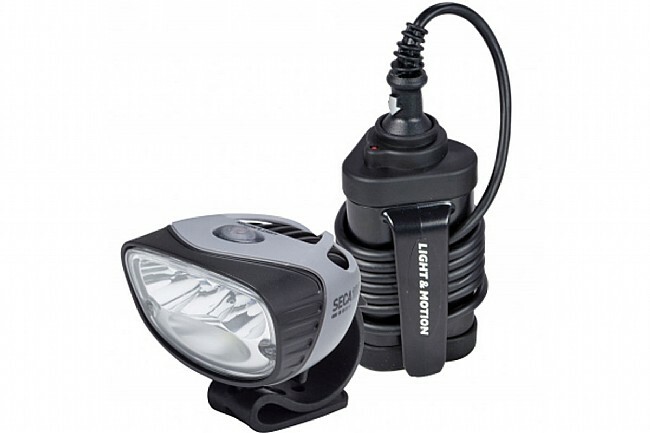 Includes: handlebar mount, GoPro mount, helmet mount, 3-cell battery, battery strap, Mini L 1.5 charger.